We are in the midst of a significant cultural shift as women across the nation are claiming their voices and power in an unprecedented way through movements like #MeToo and Time’s Up. As in the past, queer women, women of color, and non-binary folk are leading even as our government unleashes a barrage of anti-LGBTQ legislation aimed at rolling back all our hard-won gains and erasing recognition and protection of LGBTQ people entirely. Visibility and representation are the most powerful tools we have to protect ourselves and our communities, and Franco Stevens knew this 30 years ago. Her work helped move our country forward both socially and politically by creating space, visibility, and empathy for anyone who identified as lesbian. 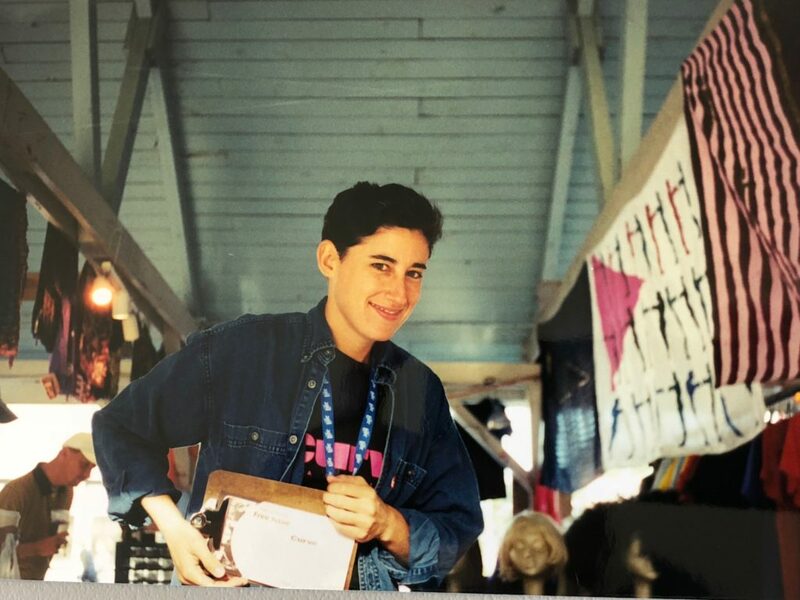 Franco’s story helped seed many intersectional movements we see today and young activists carry on her fight in the face of accelerating threats to the LGBTQ community. Modern visibility work looks like Andrea Pino, who works with the National Center for Lesbian Rights on women’s rights and civil rights through digital media. It’s stoked by YouTube star Arielle Scarcella’s channel dedicated to connecting lesbian community. It flourishes when queer women gather in ways that we haven’t seen since the 1990’s through conferences like ClexaCon and Lesbians Who Tech, and in community groups like Lesbians of Color and Lez Talk Dallas. Queer visibility has become endemic to other areas of activism as evidenced through Alicia Garza, Emma Gonzalez, and Janelle Monáe’s work. At the heart of all visibility work are the twin truths of radical self love and the idea that you must be able to “see it to be it.” These stories weave through the film to connect the intersectional visibility that Franco fought for through her magazine nearly 30 years ago with the creative, provocative incarnations of visibility work today. AHEAD OF THE CURVE is an entertaining, catalytic tool that will energize audiences and help galvanize collective will to celebrate ourselves and stand up for LGBTQ rights together. Jen Rainin’s work in film is focused on building community, deepening understanding of social justice issues, and telling great stories. Her executive producer credits include STAGE LEFT (2011), a documentary about the history of theater in the Bay Area, and TWO SPIRITS (2009), a documentary about gender identity in Native American cultures which aired on Independent Lens. As CEO of the Kenneth Rainin Foundation, Jen created a grant and filmmaker services program in partnership with San Francisco Film (SFF) to support narrative filmmakers in the Bay Area whose work addresses issues of social justice. Through these grants, she has supported such films as BEASTS OF THE SOUTHERN WILD, FRUITVALE STATION, CIRCUMSTANCE, and SHORT TERM 12. With SFF, Jen created the Producer’s Fellowship to help independent producers develop sustainable careers, and the Women Filmmaker Fellowship to work toward gender parity in the filmmaking community. A trained Meisner actress, Jen has worked both on Bay Area stages and in independent film. 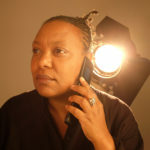 Mercurial and masterful, Meshell Ndegeocello has survived the best and worst of what a career in music has to offer. She has eschewed genre for originality, celebrity for longevity, and musicals trends for musical truths. She has lived through the boom and bust of the industry and emerged just as she entered – unequivocally herself. Fans have come to expect the unexpected from Meshell, and faithfully followed her on sojourns into soul, spoken word, R&B, jazz, hip-hop, rock, all bound by a lyrical, spiritual search for love, justice, respect, resolution, and happiness. A vast array of influences have informed all of Meshell’s albums, and there are traces of her native go-go, hip hop, R&B, new wave and punk in each. Each album has been a step away from the last, each used as a chance to investigate and integrate new sounds and ideas, and fans have been treated to everything from the deep-funk of Plantation Lullabies to the raw and confessional Bitter to the melodic, lyrical Comet, Come To Me. Meshell composed, arranged and produced a jazz record in 2005 and recorded an homage to Nina Simone, a kindred musical spirit and among Meshell’s most cherished inspirations. finds her returning to the same well of creativity that launched her career. Her 12th release, Ventriloquism, earned her her 10th Grammy nomination and carries the hallmarks of all her work: lush, vocal, seeking, wise, collaborative, and driven by the signature bounce and precise pocket of Ndegeocello on bass. Assured of her place as an authentic musical thinker and an uncompromising artist, Meshell’s investigation of sound, her reimagining of other’s music afford not just a new musical experience but remind us to defy the narrow expectations of sounds and structures for black artists and black music overall. A bass player above all else, Meshell brings her warm, fat, and melodic groove to everything she does and has appeared alongside the Rolling Stones, Madonna, Alanis Morrisette, James Blood Ulmer, The Blind Boys of Alabama, Tony Allen, John Medeski, Billy Preston, and Chaka Khan. As for her own bass-playing influences, she credits Sting, Jaco Pastorius, Family Man Barrett, and Stevie Wonder. Meshell was the first woman to be featured on the cover of Bass Player magazine and remains one of few women who write the music, sing the songs, and lead the band. 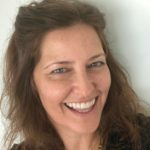 Award-winning filmmaker Rivkah Beth Medow has created, directed and produced documentary, broadcast, commercial, and non-profit productions for the past 14 years. 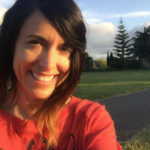 Rivkah’s credits include AHEAD OF THE CURVE (Producer, 2020); SONS OF A GUN (Director, Producer, 2009: SXSW, Festivals, PBS); LET THEM EAT DIRT (Director, Producer, 2019); BEING GEORGE CLOONEY (Producer, 2016: Festivals, Netflix); THE NINE (Producer, 2016: Festivals); THE NEXT FRONTIER (Associate Producer, 2010: PBS); FARMING THE SEAS (Associate Producer, 2005 Festivals, PBS); and multiple films for the non-profits The Pachamama Alliance and Ella Baker Center for Human Rights. As a Board Director of the Kenneth Rainin Foundation, through a partnership with SF Film she has supported narrative film projects including BEASTS OF THE SOUTHERN WILD, HELLION, FRUITVALE STATION, and SHORT TERM 12. She lives with her daughters, husband, sister and sister-in-law in Oakland, CA. Jessica Congdon has been a filmmaker for nearly 20 years. She is a storyteller at heart and brings a natural approach to her work. Her credits include the award-winning feature-length documentary DOLORES (Sundance 2017). She produced, wrote and edited the documentary films THE MASK YOU LIVE IN (Sundance 2015) and MISS REPRESENTATION (Sundance 2011) with Jennifer Siebel Newsom. Prior to that, she co-directed and edited the documentary RACE TO NOWHERE. Other editing work includes Sundance award-winner DOPAMINE. Jessica’s work has received AICE editing awards, the One Show Award, and Cannes Lions awards. She grew up in Washington, D.C., received her degree from UC Berkeley, and studied film at the Art Institute of Chicago. 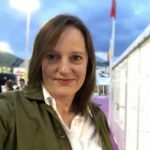 Svetlana Cvetko is an award winning cinematographer with a dual focus in documentary and fiction. Her films have premiered at Cannes, Sundance and SXSW. Her credits include INSIDE JOB, which received the 2011 Academy Award for Best Documentary, INEQUALITY FOR ALL, which garnered a Special Jury Prize at Sundance in 2013, FACING FEAR, a 2014 Academy Award Nominee for Best Doc Short Subject and RED ARMY with an Official Premiere Screening at Cannes in 2014, to name a few. 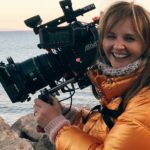 In addition to her success in documentaries, Svetlana has shot the narrative features UNTITLED, starring Adam Goldberg, and THE ARCHITECT starring Parker Posey and Eric McCormack.